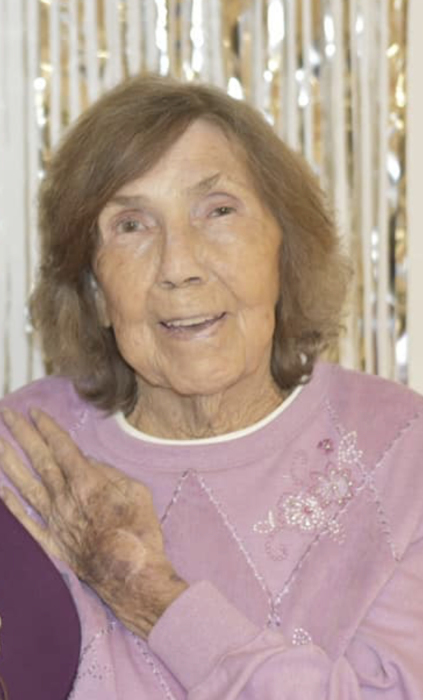 Christeen Davis, 80, of Lee County, GA died April 3, 2019 at Pruitt-Palmyra Health Care. Funeral services will be held Friday at 3:00 PM at Philema Road Baptist Church. Rev. Aaron McCulley will officiate. Entombment will follow at Crown Hill Cemetery. A native of Albany, GA, Mrs. Davis was born on August 16, 1938 to the late Ruben and Lois Bence. She attended Albany High School and moved to Lee County, GA in 1974. Mrs. Davis was a wonderful mother, wife, grandmother, and great-grandmother. She was a member of Philema Road Baptist Church. Mrs. Davis was preceded in death by her children, Vicky Lynn Davis, Wanda Kimsey, Sherry Askew, Terry Davis and three brothers, Byron Bence, Norman Bence, and Donald Bence. Survivors include her beloved husband of 62 years, Billy Joe Davis, and her son Tony R. Davis both of Lee County, GA, her grandchildren, Leslie Davis of Leesburg, GA, Brandy (Jason) Nash of Atlanta, GA, Lacie (Marcus) Davis of Athens, GA, TJ Davis of Leesburg, GA, Cricket (Michael) Clark of Ashford, AL, Kansas (Jason) Webb of Leesburg, GA, Joey Kimsey of Atlanta, GA, her siblings, Jimmy (Linda) Bence of Leesburg, GA, Betty Jane Brasington of Albany, GA, a son-in-law, Bo Kimsey of Leesburg, GA, her great-grandchildren, Chandler Bryan, Alexis Clark, Autumn Clark, Mason Clark, Novalee Clark, Kyler Murphy, Baylon Collins, Chadleigh Rae Foster, Ashton Faircloth, Daniel Nash, Alex Davis, Rebecca Chick, Jessica Ellis, and 3 great-great grandchildren, Molly Chick, Beau Chick, and Emma Kate Lowery. The family will receive friends from 2:00 PM until 3:00 PM before the funeral at Philema Road Baptist Church.